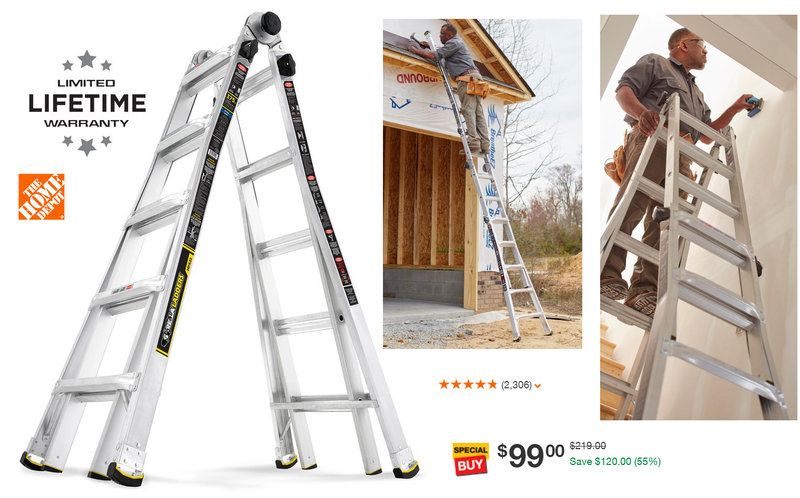 Gorilla Ladders 22' MPX Aluminum Telescoping Multi-Position Ladder $99 (Reg $219) + Free Pickup at Home Depot. Monster deal on an amazing ladder. Very highly rated with full 5 star rating and an amazing price. This is a once a year sale so don't miss it!